Tony Banks is a highly successful entrepreneur, philanthropist, an impressive keynote speaker and author. Tony Banks is a highly successful entrepreneur, philanthropist, an impressive keynote speaker and author. A former Para he served in the Falklands and is now Honorary Colonel of the 71 Engineer Regiment. 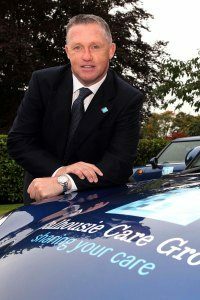 An award winning businessman, he is Founder and Chairman of Scotland’s fastest growing residential care home provider Balhousie Care Group. He is passionate about business and enterprise, the long term care of the elderly and the mental health issues of war veterans. 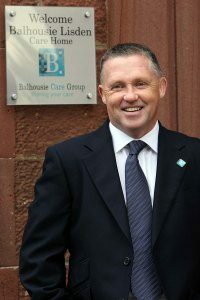 A philanthropic, multi millionaire and award winning businessman Tony Banks is the Founder and Chairman of Scotland’s fastest growing residential care home provider Balhousie Care Group which has an annual turnover of 100 million pounds. Tony bought his first care home in 1991 and in 20 years he has skillfully expanded from that one original property with 31 beds, to now owning 22 care homes providing residential care to over 750 residents. He also owns a large pharmacy and a building firm. He passionately supports issues such as long term care of the elderly, enterprise and mental health issues of war veterans. Tony first hit our screens when he featured in one of most memorable C4 ‘Secret Millionaire’ in 2010 and the subsequent Secret Millionaire Revisited. 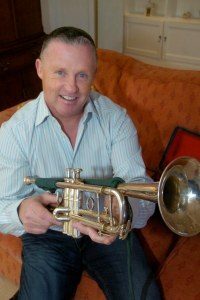 He also travelled to Argentina for BBC Scotland who filmed him returning a Trumpet to a former Argentinean prisoner of war. A former Para who served in the Falklands, he was made Honorary Colonel of 71 Engineer Regiment in 2012. 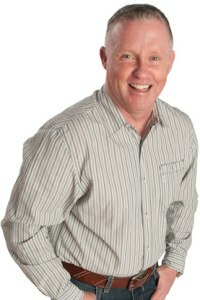 A regular contributor to the UK media on a variety of issues, he recently launched WW2videomemories.com to collate the memories of elderly relatives and friends before they die and he also is developing a number of partnerships within his care homes including a project with the Stroke Association called ‘Life after Stroke’. An impressive keynote speaker and author of Storming The Falklands (Pub 2012) he is a keen football fan, loves flying helicopters and has bought himself a ticket 200 on Virgin Galactic. Tony recalls being considered a ‘bright’ pupil and left school at 17 with seven O Grades and four Highers to study for a BA in accountancy at the University of Abertay. However, soon after starting the course, he spotted an advert in the local newspaper for the Territorial Army Parachute Regiment and signed up to supplement his meagre student grant. He loved every aspect of his involvement with the elite regiment, from the punishing physical training to the camaraderie of all his great mates who were fellow recruits, all were drawn from all walks of life. To his parents’ dismay however, he decided to abandon his university course to join the regular Army and in some way prove that he was worthy of the Parachute Regiment’s maroon beret. Within months of completing his formal training, he found himself with 2 Para fighting in the Falklands, where he witnessed first-hand the horror of war, including the death of one of his closest mates and the psychological damage suffered by several of his comrades. It was a life-changing experience that shaped Tony’s commitment to care for his fellow human beings. It’s also where his drive to make the most of every opportunity that life presented to him has stemmed from. When he returned to Britain at the end of The Falkland’s conflict, he served with the parachute field ambulance before making another radical career move. In 1987, at the suggestion of a friend, he decided to become an insurance salesman in Aldershot. The experience opened his eyes to the world of commerce and finance and, having proved himself a success in the insurance sector, he decided to move back to Scotland and launch his own business. Tony returned to his beloved Scotland and it was here he made the decision that would take the next great leap of faith and follow his instincts and hunches. While working as a medic on the oil rigs, he used his time off to research the provision of care for the elderly and he quickly realised the private care home sector did not have the capacity to cope with Britain’s ageing population. Using the money from savings, sale of his house in Aldershot and gifting from family, he bought his first care home, Balhousie Lisden in Kirriemuir, in 1991. From modest beginnings with a 31-bed care home, Balhousie Care Group is now one of Scotland’s most successful residential care providers, with 22 homes in Scotland providing accommodation for up to 850. Tony also employs 800+ people which makes Balhousie Care Group one of the biggest employers in the region which is a responsibility Tony doesn’t take lightly! Apart from his working life at Balhousie Care, he sits on the board of the Scottish Entrepreneurial Exchange and Combat Stress (causes close to his heart) and as a result occasionally gets to rub shoulders with the likes of HRH Prince of Wales, and Sir Richard Branson who has become a friend. Tony’s been flattered and honoured to be nominated for (and win) a number of entrepreneurial awards over the past five years, including Ernst & Young Entrepreneur of the Year. 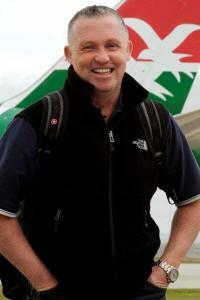 He has also had the great honour to be a finalist for fundraiser of the year 2011 at the Daily Record Hero Annual Awards. Awards are only important to him when they serve to acknowledge that his peers and people he respects in business believe he’s doing a good job and working in a healthy, productive and valuable way that benefits society in general. Tony admits that his appearance on Secret Millionaire and writing his book brought emotions which he had held at bay for so many years to the surface and really helped him understand the profound affect it had on him and his life. He also wrote his book because to many the Falklands War still seems a life time ago whilst to others it feels like yesterday and writing through his eyes as a young soldier he recounts the horrors and tragedies, the fears and the camaraderie, the poignancy, and the futility of war. He lifts the lid of some of the lesser known facts and is outspoken in many instances. Highlighting the terrors of PTSD which has affected so many veterans both in the UK and Argentina, it is a must read for everyone. It is also a great educator for people born since 1982. Tony’s is not however the story of a man born with a “silver spoon” in his mouth. Rather, it is a classic tale of a very normal Scottish guy, with a heap of healthy ambitions who found a way to make those ambitions become reality. He had to be street wise to survive. Early in life he developed an ability to be energetic and focused in business and also found that he had raw, natural entrepreneurial flair that came about as a result of all the experiences he’d had before he had turned thirty. Tony Banks believes his story can serve to inspire and motivate almost everyone that hears or reads it because, as he’s often heard saying ‘Every day is a school day…we never stop learning.’ What he has learned is that if you set your heart and energy and beliefs and absolute commitment to achieve something, the chances are you will succeed. Subjects include Business, entrepreneurship, philanthropy, Care Homes, the elderly, running secure units for young people with mental problems, metal health issues, Combat Stress, Football, Celtic FC, the Falklands War, 2 Para Regiment, suicide, loosing two siblings, Virgin Galactic, travelling, going on retreats, helicopters, divorce, supporting enterprise thro Princes trust and Young Enterprise Scotland, and supports Combat Stress, CHAZ and Virgin Unite charities.